QC Program Templates are pre-built collections of QC Worksheets. QC Program Templates are made up of QC Worksheets to complete all of the tests needed for a wide range of QC needs, including FDA MQSA/ACR Digital QC, ACR Continuous Quality Control programs, manufacturer quality programs, AIUM QC program, and AAPM recommended QC programs. 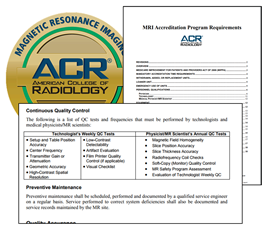 In addition, many clients use QC Program Templates to comply with TJC Diagnostic Imaging Requirements, state requirements, and QC workflows requested by medical physicists. QC Program Templates have been proven in inspections across the country and across modalities. QC Program Templates can include Standard and Automated Phantom Analysis worksheets. QC Program Templates and QC Worksheets can be used off-the-shelf or customized to meet specific QC situations. Atirix creates QC Worksheets using the built-in QC-Track Worksheet EditorTM. The Worksheet Editor provides a rich set of operators needed across the full range of quality control tests, including calculations with thresholds, pass/fail fields, baselines and constants, pull-forward fields, and a wide range of math functions.